Public support for mandatory re-testing? With older driver safety in the spotlight over recent weeks, the results of two surveys suggest there is public support for mandatory re-testing. The issue of requiring motorists to retake their test at a certain age in order to keep their licence, was thrust into the public eye earlier this month following the collision involving the Duke of Edinburgh. The collision elicited a mixed response from road safety stakeholders, with RoSPA describing age as a ‘red herring’ and ‘a completely arbitrary and unreliable measure for assessing someone’s ability to drive’. However, IAM RoadSmart issued a call for the Government to ‘put action behind their words’, in terms of doing more to improve the safety of older drivers. According to a survey conducted by Buyacar.co.uk, public support for regular mandatory driver re-testing has increased following the Duke of Edinburgh’s crash. Reported by ADI News, the online car sales website says before the crash a small majority (53%) said drivers should be re-tested – which has subsequently increased to 66%. The most common time scale for re-testing favoured by respondents to the Buyacar.co.uk survey was every 10 years – but a majority of drivers also believe it should be linked to age. 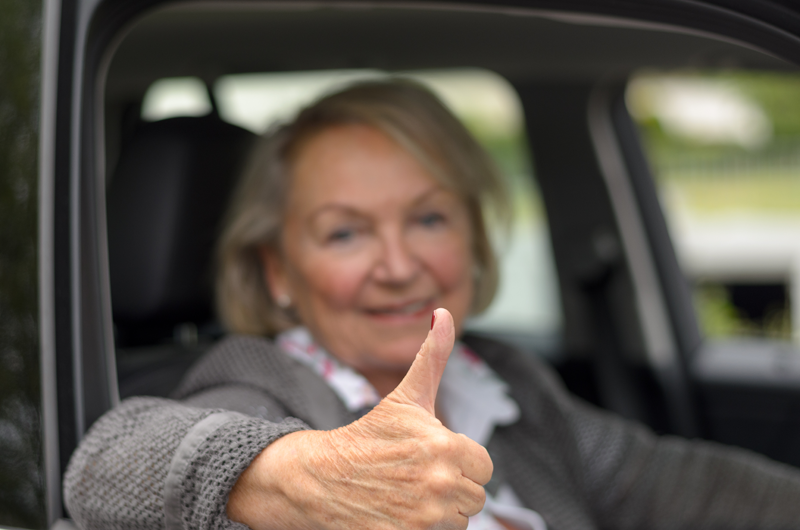 A separate survey, carried out by Select Car Leasing and published in the Independent, suggests that more than half of young drivers believe motorists should have to resit their test once they turn 60 years. In the survey, 60% of car users aged 18-34 years said they felt road safety in the UK would be improved if older motorists had to periodically take a mandatory refresher exam. Across all age groups, 35% agreed that a mature driver test should be introduced. However, speaking to the Independent, Luke Bosdet, a spokesman for the AA, said it would be premature to force senior drivers to face renewal exams, and may be discriminatory. I am 61 and been driving since 1976 and I have seen good older drivers and bad and the same with younger drivers but I bet if a young or old driver could fail there driving test if they took there test again. The important thing is the fitness to drive and eye sight is no one followed by having persecution still which i have still and proved as being disabled had to have a test paid for by motability to drive an adapted car at my local disability centre that took 3 hours of on the road driving with an eye test. I have my sight checked every two years and feel I drive a lot better than when I was a young tearaway driver. Also as I used to ride motorcycles I use my rear view mirror a lot which I notice some people do not do, I also think rather than another test a fitness to drive and not your own GP should be mandatory including eyesight would be better. We know this would cost money on NHS but may save lives and save money in the long term but it would have to include everybody whatever age as there are younger people that are driving with bad eyesight. Does anyone look at the logistics behind the idea. Some 12,000 plus 65 year old’s in the UK. Assessing them every 10 years would be 1.2 million a year, some 23,076 a week or 4,615 a day. Can you see the DVSA being able to cope with such a demand on top of their current role. How are the DVSA going to prioritise who has their tests first, many will not be getting their tests until well beyond the 10 year requirement. What will happen when some one is killed by an elderly driver who could not be tested in their timescale due to sheer numbers. Add to this the increasing elderly population and it becomes unworkable. Drivers has the opportunity of having their driving assessed on a regular basis through the IAM RoadSmart and RoSPA Advanced Driving Test system for a fee without having to be a member of either. These Assessments are carried out by Examiners who are either serving or retired Class 1 Police Drivers. Indeed as an Advanced Driver with RoSPA you are required to be re-assessed every three years if you were assessed at Gold or Silver standard and annually if at Bronze standard. Road Safety Officers should be encouraging drivers and riders to be members of these organisations. The ‘new’ license cards have to be renewed every 10 years to ensure our images match. Why can’t that be the trigger point for a re-test or medical or both? At the age of 70 you are no more at risk of being involved in a collision then any other group, in fact younger drivers are our highest risk on our roads. However research has shown that in your mid-70s, drivers sometimes start to have problems assessing complex or high-speed traffic situations. We need to remember as well that we all age differently, there are some very fit drivers into their very later years and likewise some unfit drivers in their early years who should not be driving. Research has shown that the countries who have implemented compulsory re-testing for older drivers have often seen an increase in the number of older people injuries and fatalities on the roads as they become more vulnerable as pedestrians or cyclists. A driving test is a often just a test of certain skills, and can scare people to give up driving when they are still perfectly fit to do so. So how can you stay safe on the road in to older age? 4. Undertake a voluntary appraisal of your driving. We all pick up bad habits, and it is a great way to brush up on your skills and carry on driving safely for longer. When was the last time someone appraised your driving? It’s fun and can really build your confidence, give it a go! We need to encourage more people to do these four things by raising awareness and giving support. This may involve financial incentives like lower insurance for those who have regular eyesight tests and undertake an approved driving appraisal or cheap / free appraisals to brush up on your skills and help inform people when the right time to retire from driving by having regular driving appraisals over 70 years, perhaps every 2 years. The vehicles we drive have to be tested once a year, (for reasons rather tenuously connected to safety on the road in my view), yet those behind the wheel are presumed to be safe and responsible throughout their lives after one test – typically in their younger years. Imagine taking one’s car for its MOT and if it passed, then having to be tested by a driving examiner before being allowed to drive away legally! Maybe testing individuals through life, regardless of age, is the way to go, but logistically problematic and no doubt a headache for the authorities to administer. On the other hand, certain professions require their staff to be regularly re-assessed to ensure their competency is maintained and entrants into these fields, presumably accept that. I tend to agree that relating re-assessment to age (alone) may be discriminatory, but would that make the current requirements for self-declaration at 70. 73 etc also discriminatory? I think we need to split out the issues of health and ability. The latter applies to all road users and falls to the police to enforce. The issue of health applies to all users, some of which may be problematic to those younger than 70. Various health aspects may limit ability and so its health that should be the first priority. Notwithstanding that the new NSH 10 year plan calls for more prevention, the cost and demands on NHS staff is an obvious constraining factor and so if change is supported we need to consider what cost effective and simple health checks could be done to increase safety of our driving systems. Some lateral thinking is required here and any such checks may have benefits beyond driving and be linked to wider illness prevention (“people MOTs”?) as drivers enter their more mature years.